Specialization: Sports and orthopedic injuries, including pediatric athletes. Special interest in shoulder and hip stabilization techniques, tennis and overhead sports injuries. Jean Momorella’s lifelong love of sports carried over into her love of sports rehabilitation, making her career choice of becoming a Physical Therapist an easy one. Jean received her Bachelor of Science in Sports Medicine and Athletic Training from the College of Charleston in 1993 and her Master of Physical Therapy degree from Shenandoah University in 1996. She has worked in a variety of settings including acute care, outpatient orthopedics (adult and pediatrics) and sports medicine rehabilitation at Auburn University. She is a Certified Strength and Conditioning Specialist. 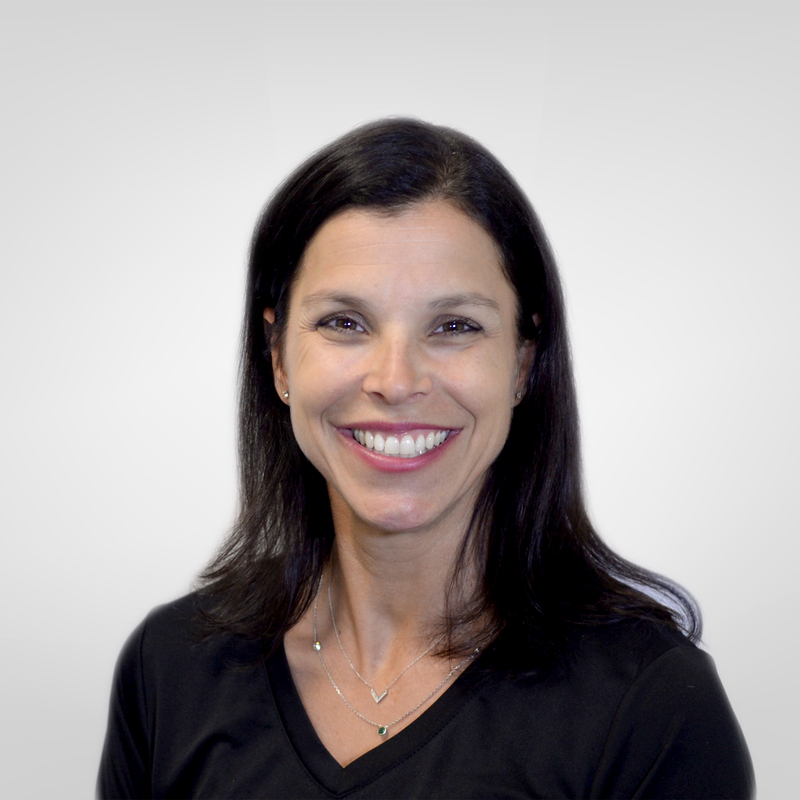 Jean also has many years of experience treating injuries resulting from tennis, soccer, running and volleyball. Currently she is also pursuing a sports nutrition certification. Jean specializes in sports and orthopedic injuries, including those incurred by pediatric athletes. She has special interest in shoulder and hip stabilization techniques, tennis, and overhead sports injuries. When she is not working, she loves to play tennis. If she isn’t playing it, she loves to watch it. She and her husband try to go to as many professional and college matches that they can squeeze into their schedules. She also has two girls who are very active in sports and the family spends a lot of time watching and transporting their girls to softball, volleyball, gymnastics and horseback riding. Her favorite place to be is at the beach. She loves the ocean and paddle boarding makes her very happy. She is also learning to play the ukulele.